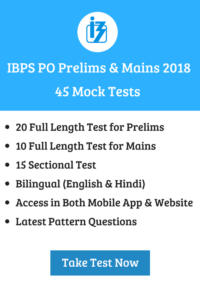 IBPS has been released IBPS PO notification 2018 in 9th August 2018 with 4252 vacancies. The IBPS PO Vacancy has been released for the post of PO-VIII. The Candidates can check the salary & perks in this post. The IBPS PO examination has scheduled on the months of October and November. As the exam is nearly a months away, it is time for the candidates to start the preparation. Dearness allowance is 4% of basic pay and revised Quarterly for every 3 months which is based on banks. HRA – House Rental Allowance will be 9% to 7% from the basic salary. It may be vary based on place of posting. After Completion of one year service, you will get an increment of Rs 400 and Rs 500 for 2nd year. Reimbursement of Official travel will be applicable for IBPS PO. Medical allowance is paid annually. And for a clerk, it is fixed at Rs 8000. Note: Salary is based on Public Sector banks revised banking norms only. To bring to your notice the promotion of an individual is based on the performance alone.